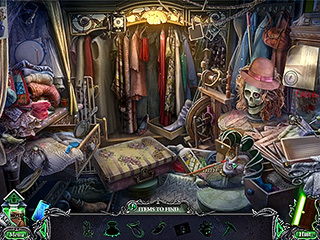 Hidden Object Puzzle Adventure games, Daily Magic, comes a squeamishly creepy series called Harrowed Halls. It has appropriately been given a warning label by many for being an intense psychological thriller that can really get into your head, so if you are not prepared mentally for the nightmares that ensue, look elsewhere. What lurks around the unknown corners ahead is truly frightening!You see shadows jetting across your windows and hear eerie noises off in the distance. Every now and then, a new series gets launched that absolutely rocks the industry. 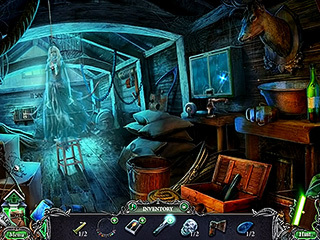 Harrowed Halls: Lakeview Lane Collector’s Edition just might be the next big thing that changes the way we look at gaming. Get in on the adventure now and see what happens! This award-winning game puts you in the role of a former attorney, who has finally decided to leave it all behind and head for a small, quiet, neighbourhood in what seems to be a rather peaceful part of the countryside… well, it seems to be that way anyway. What lurks around the unknown corners ahead is truly frightening!You see shadows jetting across your windows and hear eerie noises off in the distance. A normal person would just go ahead and find some other place to live, but your lawyer ingrained curiosity is going to get the best of you. Can you get to the bottom of this mystery before it sends you to the bottom? The graphics and music in this game are absolutely chilling. Seriously, if you have a weak stomach, then Harrowed Halls: Lakeview Lane Collector’s Edition simply is not going to work out for you. If you are up for the mental and emotional challenge, then you are really in for a special treat if you go ahead and get the Collector’s Edition. There are morphing jigsaw puzzle pieces that you can pick up along the way that will turn into scenes from the game. There is a creepy toy chest of achievements and you can even read the secret developer’s diary! There are 44 morphing jigsaw puzzle pieces and 17 achievements, 10 replayable mini games. There are a lot of media extras, like 11 wallpapers, 4 soundtracks, 40 diary pictures. All sorts of goodies await you in the Collector’s Edition, so get it today! 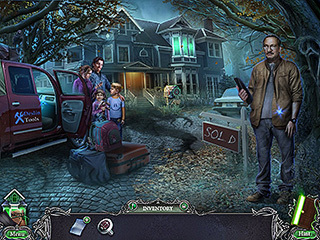 This is Harrowed Halls: Lakeview Lane Collector�s Edition review. Download this game here.